Our touchpad mice provide a more accurate and comfortable way of working - particualrly in high precision tasks. The high levels of pressure sensitivity and multi-functions of zoom and scrolling avoid the repetitive movements required with traditional mice and ensure quick, simple and comfortable use. Our touchpad mice are ideal for any graphics application user. Each of our touchpad mice are perfect for left, right or both handed use, helping to avoid Repetitive Strain Injuries. The Logitech touchpad is a wireless mouse which provides laptop-style mouse use, encouraging a flat hand making it ideal for inidividuals with arthritis. 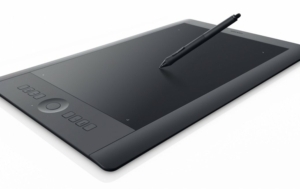 The Wacom Intuos Pen & Touch tablet provides a pen and paper feel to your computer work, ideal for high precision roles using graphics applications. 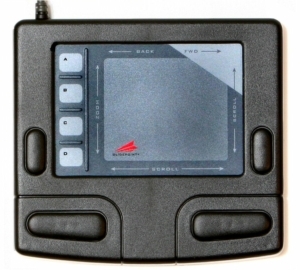 The Cirque Smart Cat offers smooth, one touch use with three buttons that can be pre-set for comfortable and quick use - enhancing productivity. Order one of our touchpad mice today!